You Are Here: Home > What are the 2018 Jaguar F-PACE Performance Features? It’s always nice to have a vehicle that can give you the power and perseverance you need while on the open road, and the 2018 Jaguar F-PACE performance features certainly make it easy for you to get excited every time you get behind the wheel. With impressive engine technology and the right choice of power, you’ll never want to drive another model again. Explore the new Jaguar F-PACE performance features below. When it comes to power, the first thing everyone looks at is a vehicle’s engine options. When you explore what the new Jaguar F-PACE has to offer, you’ll get excited about the endless opportunities to experience the thrill. Aside from having incredible engine options, it’s important for you to explore the additional performance features delivered through the 2018 Jaguar F-PACE. In order to truly understand and fell the power of the 2018 Jaguar F-PACE performance, you need to get behind the wheel of one. 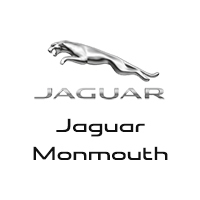 Visit Jaguar Monmouth today, located at 807 NJ-35 in Ocean, NJ to see our inventory, or contact us at (877) 672-8680 to find out more about our vehicle specials.